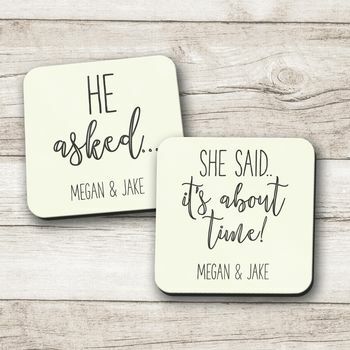 Set of two beautiful 'He asked' and 'She said about time' coasters. A set of two gorgeous personalised 'He asked' and 'She said, it's about time!' high gloss coasters. 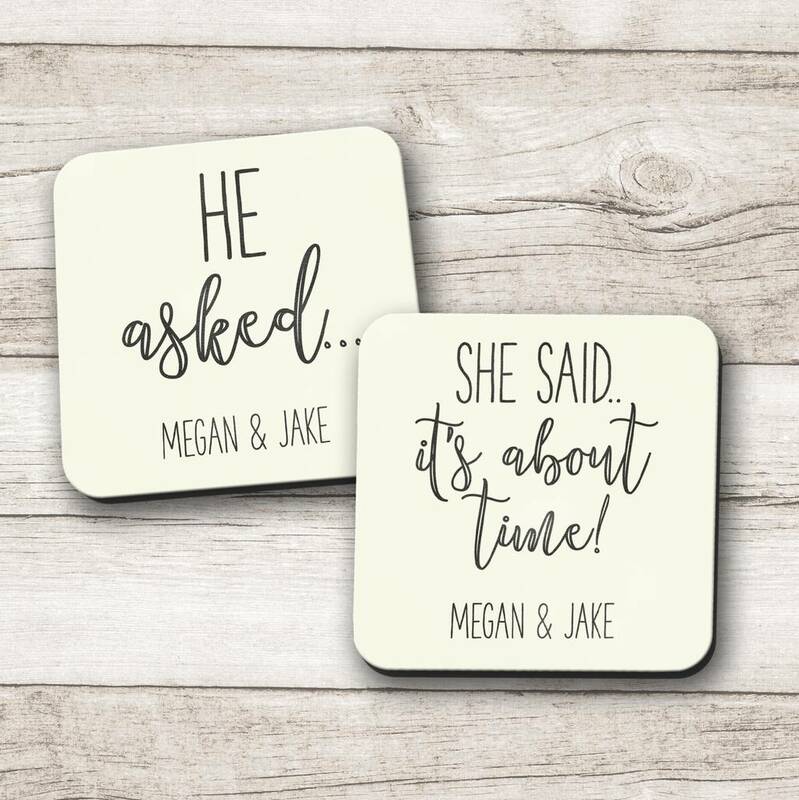 This gorgeous personalised coaster set makes the perfect engagement gift or a unique hilarious engagement announcement! The coasters feature two names of your choice. These beautiful coasters make a great gift or a thoughtful stocking filler. Made from high gloss hardboard.